The Bucs have had several sets of players with the same names, including the two Steve Youngs. And the first Steve Young was a right tackle from the expansion team of 1976 who was featured in that season's highlight film as having a bright future with the team, and then never played for them again. 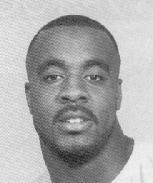 But of course he did go on to make his home in Tampa and become a good friend of BUCPOWER.COM. Randy Crowder came to Tampa having served time in prison for cocaine distribution, but many of the players who followed him in the 71 jersey were real journeymen or never-were-men. 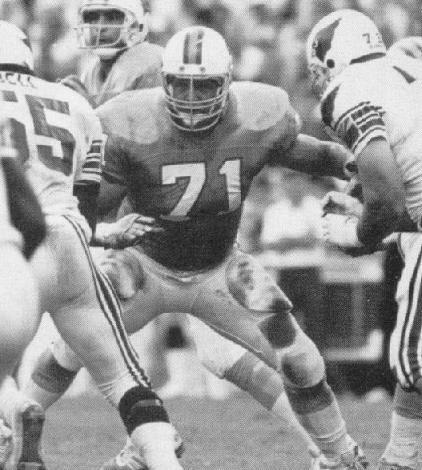 Chris Lindstrom is the answer to the trivia question - "who replaced Lee Roy Selmon?" 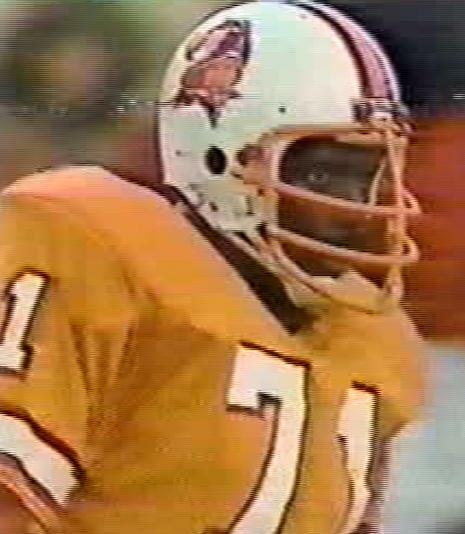 but only ever started one other game in a Tampa uniform, and Bob Nelson started the majority of the 1986 season but could only record one solitary sack in the process. And then came Santana Dotson, a fifth-round pick with a college history of under-achieving. 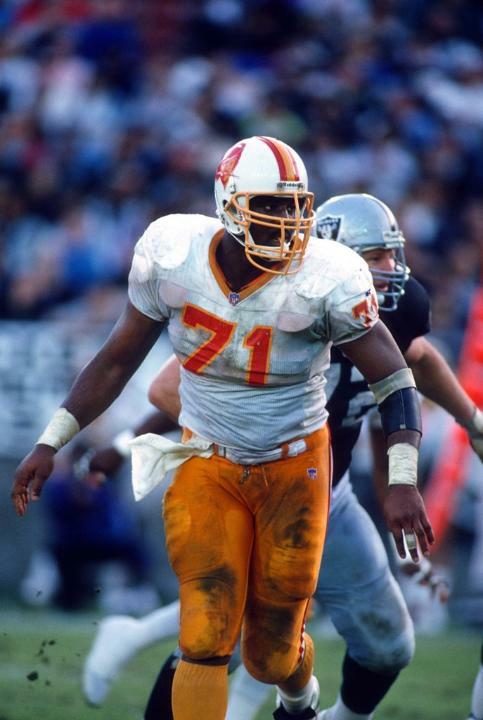 Which he emulated for most of his Buc career but his first month in the NFL was nothing short of spectacular as he racked up 5.5 sacks, fumbles and big-plays galore and wound up with all kinds of NFL honours for his efforts. If only he could have kept it going for a little longer. 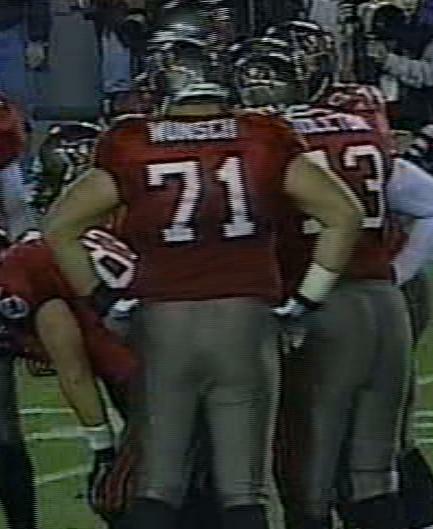 Jerry Wunsch was a useful tackle for five seasons in a Buc uniform without ever really doing anything exceptional, and Kerry Jenkins had a reputation for being one of the toughest players on the roster when he arrived in 2002. Being a better guard might have kept him there longer too. Jason Whittle had some nice moments on the offensive line and both Jovan Haye and Michael Bennett similarly on the defensive side of the ball, but neither to a level that would challenge Santana for the top honour. 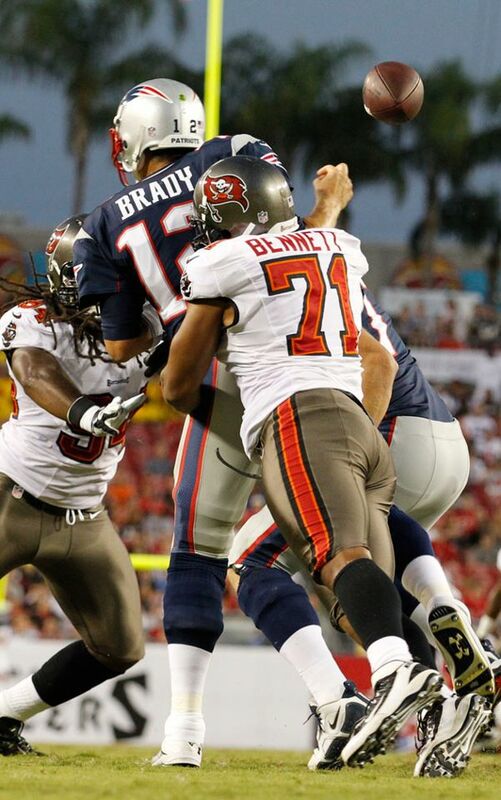 Bennett did have nine sacks during his final season with the Buccaneers in 2012 before being allowed to move on to win a Super Bowl ring with the Seattle Seahawks.